The 15th ALLEA General Assembly was held on 24/25 April 2014 at the Norwegian Academy of Science and Letters in Oslo, Norway. ALLEA’s annual meeting began with a scientific symposium on “Enabling early career researchers – needs for training of a new generation” and a celebratory session on the occasion of the 20th anniversary of ALLEA. On the second day the delegations of the ALLEA member academies assembled for the annual internal business meeting. 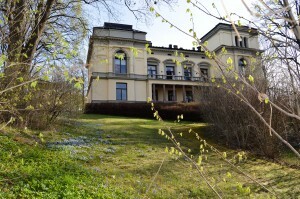 Photo of the Norwegian Academy of Science and Letters by Anne-Marie Astad.